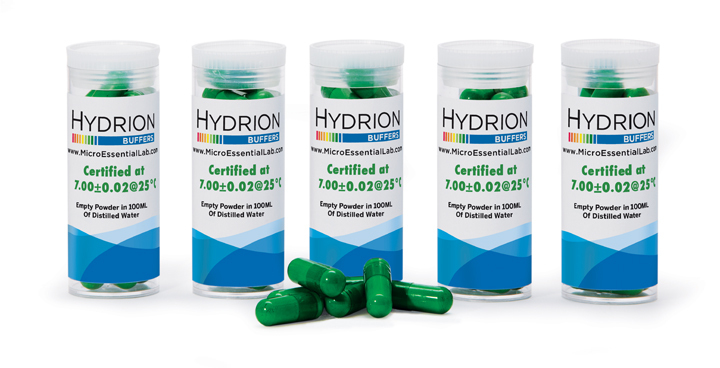 Hydrion Buffer Capsules are perfect for quick and easy pH meter calibration. 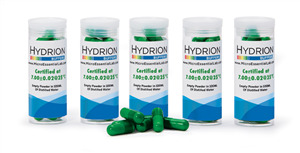 When mixed with distilled or de-ionized water, a Hydrion Buffer Capsule will accurately produce 100 ml. of solution at pH 7.00. Hydrion Buffers are free flowing soluble powders that prepare clear solutions in minutes. Empty the contents of a Hydrion pH Buffer Capsule into 100 ml. of de-ionized or distilled water.